Here we take a look at the highest capacity stadiums for club football in Europe. A lot of buzz lately has been about FC Barcelona potentially remodelling their famous Camp Nou stadium and increasing it's capacity to 105k. 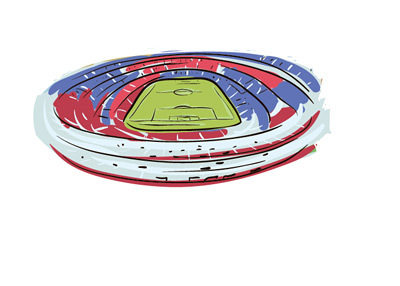 The Camp Nou already is the biggest football stadium on the 'old continent'. It should be noted that due to UEFA seating regulations, some stadiums are capped at lower capacity for Champions League and Europa League matches. For example, the Signal Iduna Park in Dortmund has the capacity of 80,645 for domestic league matches, and 65,590 for UEFA competition matches.